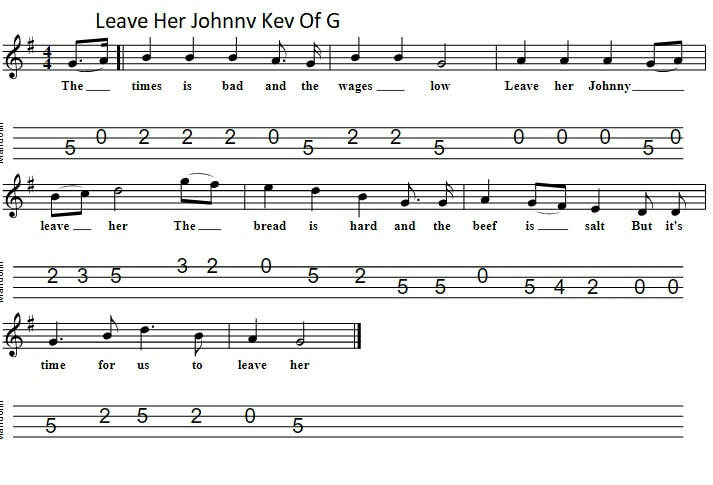 The two versions of the mandolin tab are in the key of G with just a few changes to the lyrics. 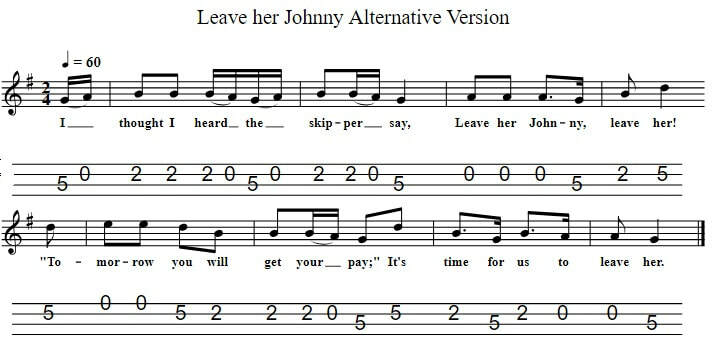 This is a typical example of a sea-shanty song. It was recorded by most folk singers including the ''Bard Of Armagh'' Tommy Makem and Johnny Collins.